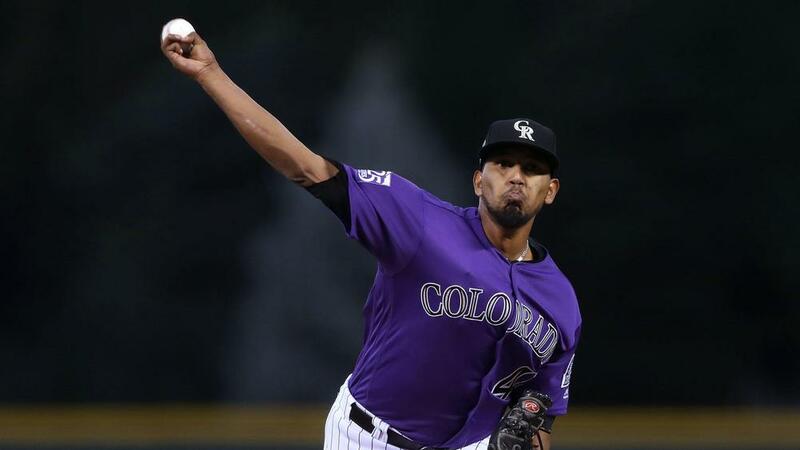 Colorado Rockies starting pitcher German Marquez matched a MLB record by striking out the first eight Philadelphia Phillies batters. Marquez is just the third pitcher in baseball's modern era (since 1900) to accomplish the feat following Wednesday's achievement. Jim Deshaies did it with the Houston Astros in 1986 and Jacob deGrom with the New York Mets in 2014. The all-time record in MLB, modern or not, belongs to Mickey Welch who struck out the first nine batters in a game for New York on August 28, 1884. Marquez's streak ended in the third inning when Phillies pitcher Nick Pivetta hit a bouncer back to the pitcher. The Rockies pitcher would actually make a throwing error on the play and walked Cesar Hernandez to put runners on first and second. But that did allow him to record the first nine outs of the game via the strikeout as he sat down Carlos Santana on strikes to end the third. Through four innings, Marquez had 10 strikeouts as his season tally improved to 220, eclipsing Ubaldo Jimenez's Rockies record of 214 in 2010.